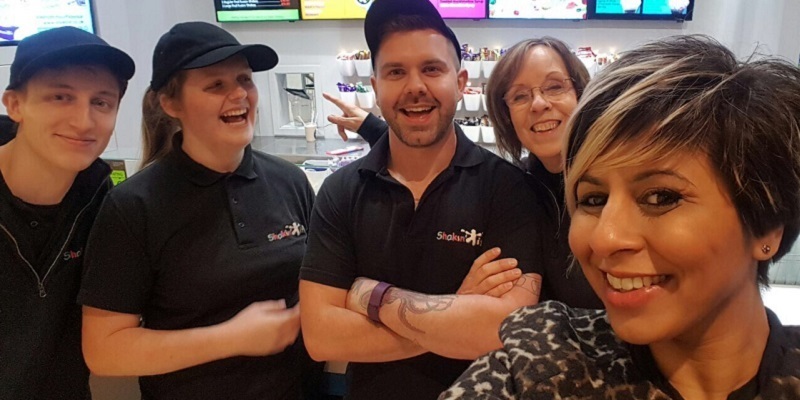 We were super-excited to be approached by a local Derby primary school after staff had spotted our Make-A-Shake Competition on Facebook. A Year 2 Teacher and his Teaching Assistant wondered whether we could create a special competition to support a writing activity focused on persuasion. The Shakeologists love getting involved in community activities. We were intrigued at the idea so we said yes straight away! 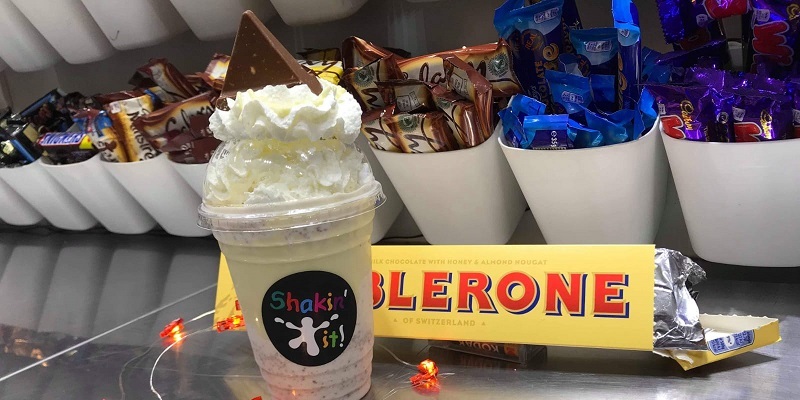 We offered the outright winner a goodie bag, free Milkshakes for their family and the chance to come and make their winning Shake with the Shakeologists. 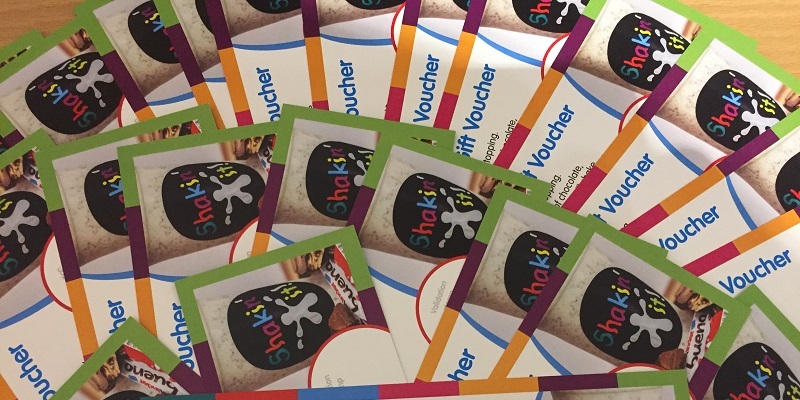 And, as we didn't want anyone to miss out on a tasty Milkshake treat, we gave every entrant (and the teachers) a free Shake voucher. 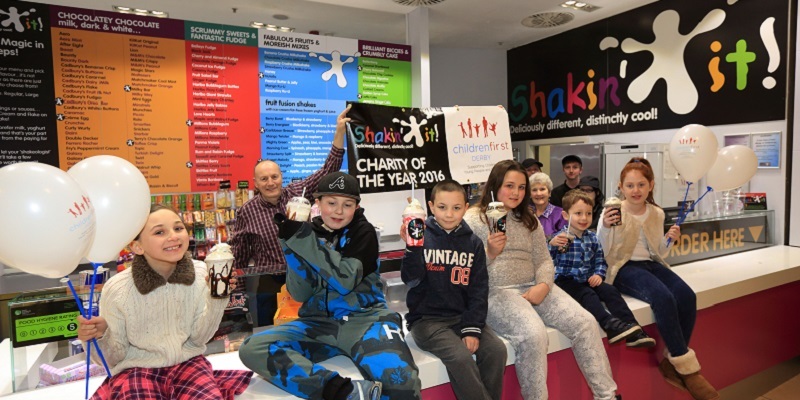 Firstly, thirty children, aged between 6 and 7 years, had to design their Shakes. 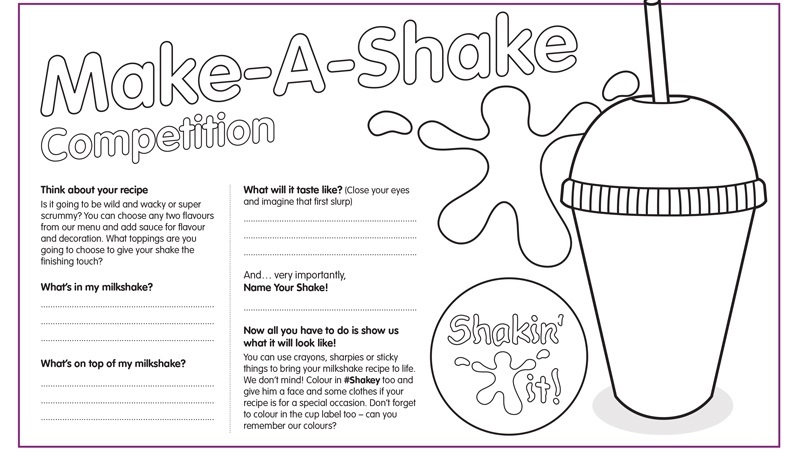 We suggested they used our Make-A-Shake template as that has lots of helpful hints! The children listed their ingredients and toppings; thinking about favourite flavours is a good place to start! 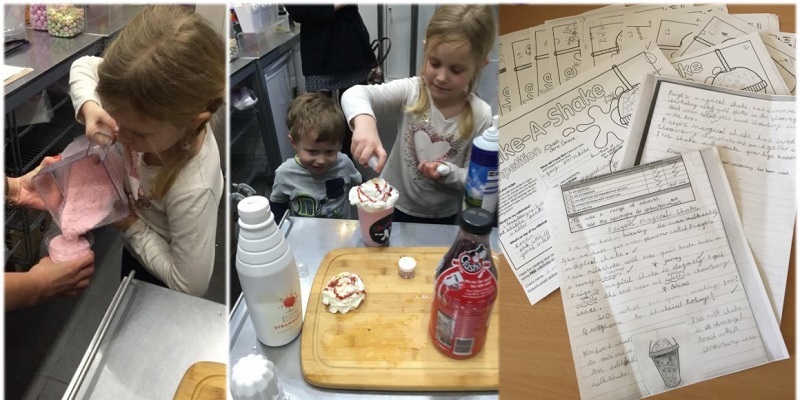 They then created catchy names for their Shakes and coloured in the design page to show how the finished Shake might look. We encouraged them to close their eyes and imagine what the Milkshake would taste like. This was very important as it helped the children when they started the persuasive writing exercise with their teachers. The children practised their knowledge of various parts of grammar while writing adverts and posters to promote their Milkshakes. Questions, exclamations, apostrophes, nouns, adjectives and adverbs were all well-used in the writing and the standard was high. We were very impressed when Teacher gave us thirty amazing entries to judge! 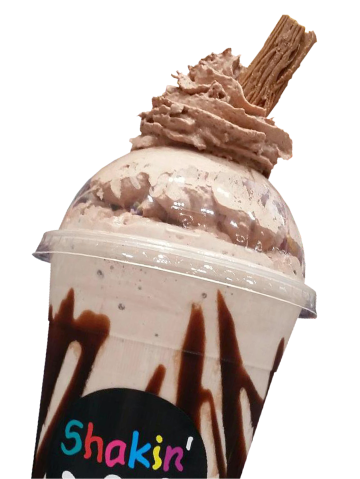 Chief Shakeologist, Leigh, said it was hard to choose a winner but he was persuaded by Paige's Magical Milkshake which promised to take the Shakeologists on a heavenly journey! That was too good to resist! Let's see if you are persuaded too! "Are you bored having the same milkshake? If so, we have got a new flavour called Paige's Magical Milkshake. This Milkshake will take your taste buds on a heavenly journey. 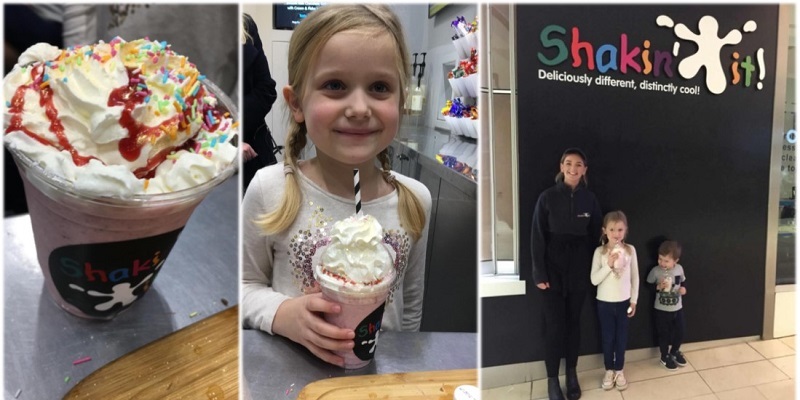 Paige's Magical Shake recipe is chocolate and strawberry flavours, elegantly topped with the best cream and delicious strawberry sauce. So, what are you waiting for? Paige's Magical Shake has scrumptious sparkling gold glitter, thick cream and sweet strawberry sauce on top. 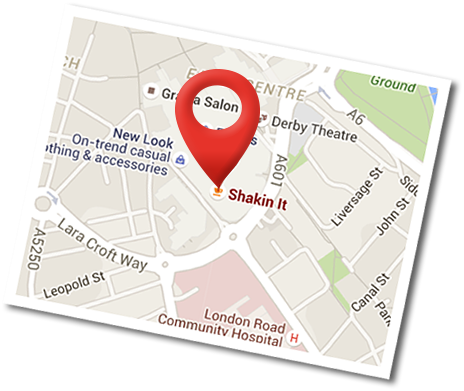 Come quickly to Shakin' it today! You don't want to miss out on this delightful milkshake!" 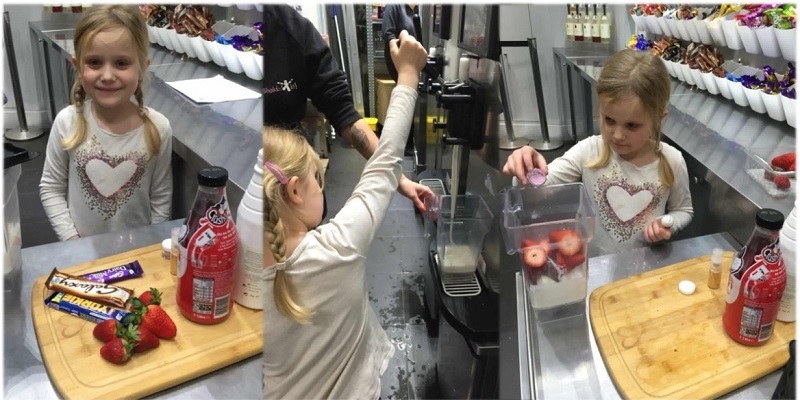 Having selected our winner, it was time for some shake-making fun for all the family with Shakeologist Leanne! Let's get the ingredients together - Tick! Then add just the right amount of ice cream and milk - Tick! Mmm, fresh strawberries and a sprinkle of edible pink glitter - Tick! We must blend the Shake to perfect consistency and add toppings. Oh, and double check the recipe to make sure nothing has been overlooked! Tick! Yay! Little brother was keen to have a go at making (and tasting) his own yummy Chocolate Milkshake. We had great feedback from the school about the success of the project and we are delighted to see so many budding Shakeologists in Derby. 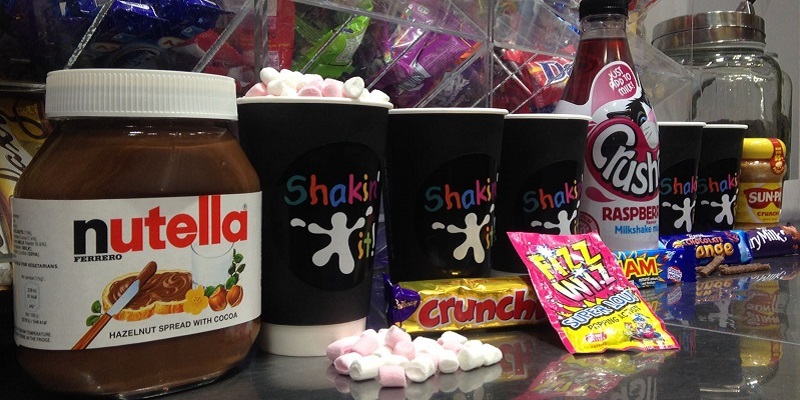 Happy school days, happy outcomes and delicious Milkshakes! Introducing brand new Christmas Specials!